Raging River Trading Company produces and sells high quality items for use in Bushcraft, Overland, and Canoe expeditions. Our equipment is made to true Mil-Spec. All our items are made here in North Carolina, USA by an experienced crafts person. Raging River Trading Company is a U.S. Coast Guard Veteran owned and operated company. 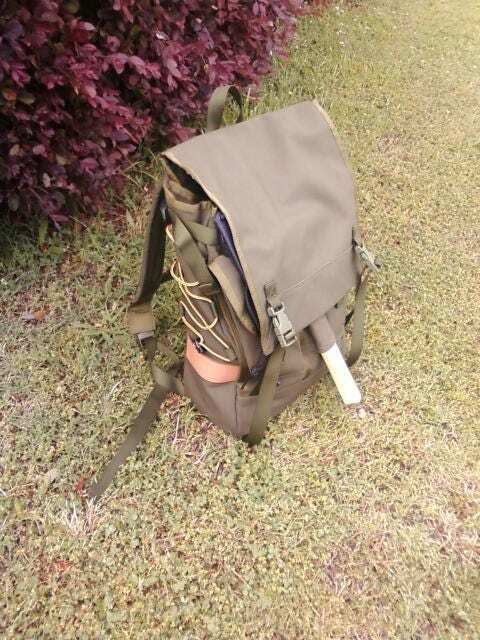 Here Raging River Trading Company is offering a Woodsmen's Bushcraft Pack made from heavy weight waxed canvas. 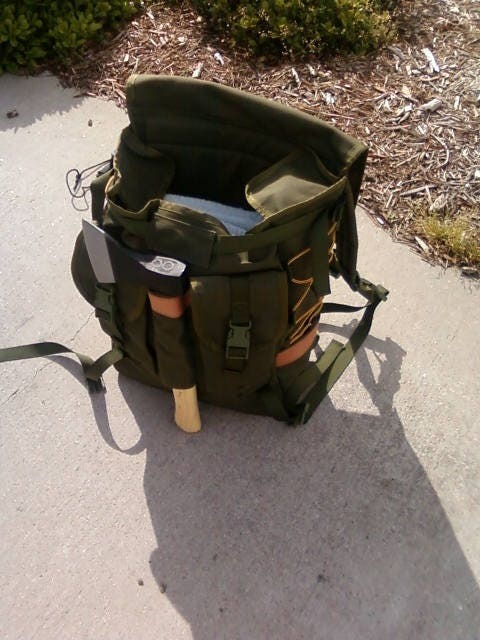 It is approximately 20"x 14”x 6" and has six external pockets. The top is secured with color matching side release buckles that securely keeps the bag closed and yet opens smoothly. It also has a hatchet sleeve on the front panel for easy access. The side panels have a draw string for cinching the sides to help lash gear to the sides. 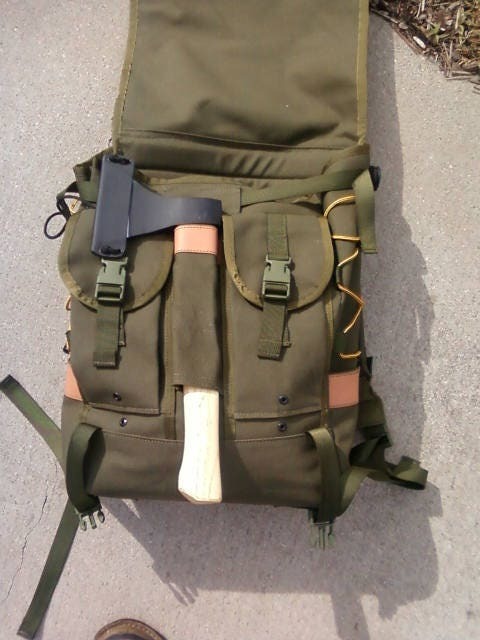 There is also storage behind the two front pouches. These are made to be used and last a lifetime. These bags are great to keep gear sorted and at the ready. 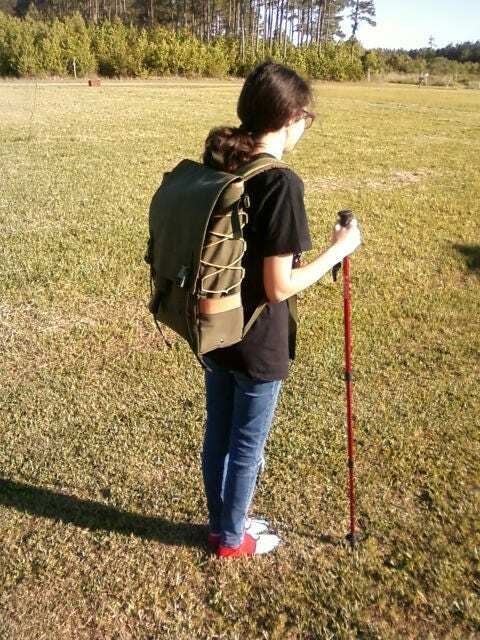 The padded shoulder straps come with a sternum strap to aid in carrying heavier loads. The bottom of the pack has four loops for attaching a sleep system, tarp, or misc gear. 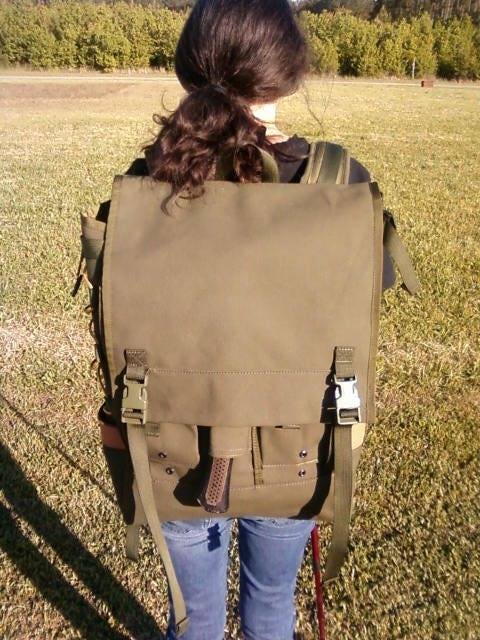 This pack is made in Olive Drab waxed canvas and all pouches that we sell can also be made to match. Photos may depict extra equipment which may or may not be included.